Presented by Chris Smith, Helen Scales. We get Smart on this week's Naked Scientists with the science of self-healing, self-sensing and self-cleaning materials. We hear how carbon fibre polymers could lead to self-healing spacecraft, why a titanium coating keeps windows clean and kills superbugs, and how helicopters can warn you when they're damaged. Also, how gut bugs tell the story of our ancestors' migration into Australia and beyond, how RNA housekeeping allows humans to function with fewer genes than a banana, and how molecular metal cages safely store hydrogen, or sieve out carbon dioxide. Plus, we mix borax and glue to make bouncy, stretchy goo! This week, two studies published in the journal Science found evidence from bugs that live inside our guts and the words that come out of our mouths, that both shed light on how ancient human ancestors migrated out of Asia and spread across the far reaches of the Pacific Ocean, a subject that has kept archaeologists scratching their heads for decades. Yoshan Moodley from the Max-Planck-Institut für Infektionsbiologie in Germany led a team of researchers who collected samples of gut bacteria called Helicobacter pylori from aboriginals living in Taiwan, Australia, Papua New Guinea, and New Caledonia. 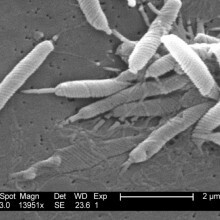 These parasitic bacteria live inside the guts of around half the world's population who don't have access to modern medicines and can cause stomach ulcers. These bacteria are only found inside human beings, and so we think our ancestors carried them with them around the globe, the bacteria mutating and evolving into different strains along the way. By sequencing the DNA of these gut bacteria, Moodley and his team discovered two new strains. The first one, called hp-sahul, they think split off from Asian ancestors around 30 thousand years ago probably when people migrated down through Indonesia, which back then when sea levels were lower and there was a land bridge to Australia and New Guinea, which together formed a single land mass known as Sahul. A second strain of the bacteria, called hp-maori, was carried inside human hosts from Taiwan around 5 thousand years ago in a second wave of colonisation first to the Philippines then further south to Polynesia and New Zealand. A Taiwanese origin of many Pacific tribes is also the conclusion reached by another group of researchers who studied languages. For a long time languages have been used to help unpick the past, because, rather like mutating bacteria, languages also change over time, and can be used to trace the relationships between groups of people in different parts of the world. Russell Gray from the University of Auckland in New Zealand and his team analysed the relationships between 400 Austronesian languages spoken by tribes across the Pacific, focusing on patterns of similar words called cognates. Cognates crop up in different languages where they sound similar and are thought to have a common origin. Take the word star in English, which is stella in Italian, sterna in German, ster in Dutch, estrella in Spanish, and so on suggesting a common link between these languages. 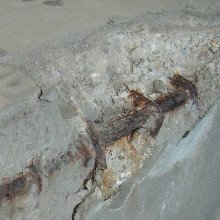 It took huge computing power to make thousands of comparisons between all the languages, and in doing so they found yet more evidence of a great southerly migration from Taiwan around 5 millennia ago that took place in fits and starts, probably as people developed better boats and colonised more and more distant clusters of islands. It is amazing to think that there are messages from the past still hidden inside us - both in the words we speak and in the bugs that live in our stomachs. Scientists have discovered a role for the DNA that makes up the majority of the genome but which had previously been written off as rubbish. Writing in the journal Molecular Cell, Edinburgh University researcher David Tollervey and his colleagues explain how these non-coding segments of DNA, which lie between the known genes, actually give rise to a large number of chemical messengers that regulate the control of other genes. Working with yeast cells, which are very similar albeit slightly simpler than human cells, the researchers found that the non-coding DNA produces sequences of its chemical relative RNA. Normally, RNA molecules are used to translate the genetic recipes written into the genome into proteins that carry out important functions in a cell. But these so-called non-coding RNAs that the Edinburgh team have been studying are different. Instead they are used to control the addition or removal of chemical tags (methyl or acetyl groups) from the DNA and this process, known as histone modification, can powerfully affect the activity of the tagged gene. "Cells contain about 2 metres of DNA, which needs to be tightly packaged within the nucleus," explains Tollervey. 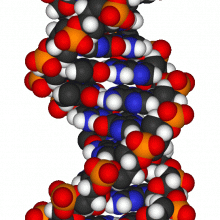 "This is achieved by winding the DNA into a tight configuration called chromatin. But by modifying the DNA through the addition of these chemicals cells are able to ensure that certain genes remain accessible and active." This is the chemical-equivalent of moving the things you use most often to the front of your cupboards so that they are easier to reach. "We think that this process allows the yeast to control its gene activity more tightly to take advantage of different environmental conditions or food sources," says Tollervey. But in humans it also answers another important question - why we can get away with having fewer genes than a banana! When it comes to being a male fish, life can be tough when the lady in your life gets around a bit and mates with lots of other males. It means that to make sure you produce lots of offspring you must compete with all the other guys on the scene, and more specifically your sperm has to be up to the job. Now a team researchers led by John Fitzpatrick from the University of Western Australia have shown for the first time in the journal PNAS that when male fish have to compete with each other on a daily basis for the chance to mate, their sperm evolves to be bigger and faster. When polygynous fish mate, a female lay eggs and males then rush in to add their sperm, hoping they will be the first in there. For a long time now, biologists have suspected that polygynous males must evolve tactical sperm that are faster and therefore more likely to reach the eggs first, but up until now, no solid proof of that idea has been found. Fitzpatrick and his team looked at species of cichlid fish living in Lake Tanganyika in Africa. Cichlids are famous for having evolved extremely rapidly into lots of different species. Some cichlids are monogamous, and others that are highly promiscuous, sharing many different partners throughout their life. By zeroing in on these cichlids with all different types of mating behaviour, it allowed researchers to unpick this issue of the evolution of sperm. The researchers went scuba diving in the lake and caught male fish from 29 different species and dissected them to study their sperm. 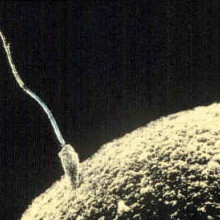 They measured sperm length under a microscope and used digital video cameras to measure how fast the sperm were swimming. They found out that the polygynous species with lots of mates did indeed have larger, faster sperm than the monogamous species. This was also the first time that good evidence has been gathered to prove that when sperm are bigger they do indeed swim faster, because their tails or flagella are longer, and can generate more propulsion. And from earlier studies that have drawn up the family tree of all these cichlid fish, Fitzpatrick and his team were able to work out that the ancient cichlids that first colonised the lake had small, slow moving sperm, and as promiscuity increased over time among certain lineages, so sperm began to evolve to be bigger and faster. Cichlid fish are the first group of species that have demonstrated the evolution of speedy sperm in polygynous species, but it is likely that similar things are going on in many other species where males have to do whatever they can to make sure they pass on their genes to the next generation. Chris - We now have Joe Hupp from Northwestern University. Hello Joe. What are these moths and what's their structure if you could zoom in with a very powerful microscope and see them, what would they look like? Joe - Metal atoms or ions on the corners and then rigid pillars that are made or organic molecules. Each collection of these defines a cage but the cages go on forever and an important property of these is that they're not just isolated cages, they're crystalline materials. If you did zoom in and look at one of these cages you would see a tunnel going on forever with exactly the same size cage all the way through. Chris - So it's almost like children's building blocks but with a hole in the middle that you can connect together to make enormously voluminous containers but at a molecular level. Joe - That's right. The materials have surface areas that are gigantic. The largest are more than 6000 square metres per gram. They have the lowest densities of many known crystalline materials. They have gigantic interior volumes. Some of them are more than 80% empty so these tiny walls define lots of miniscule spaces. The important thing is the space is on the size of a molecule. That's what enables them to store molecules like hydrogen or methane for fuel or to, as you mentioned pull some molecules off the mixture. Chris - Just to add some perspective, 6000m squared is as big as a football pitch so per gram that's incredible. When you say that you actually make these things with metal atoms on the corner - if we imagine a cube - which is the simplest structural and functional unit you've got a metal atom on the corner of the cube and they're connected by these organic linkers. How do you actually make these things? Joe - Well they turn out to be pretty easy to make. It's just hard to make them well. You simply cook them, the pieces that are sticky for the metal ions, in a mixture for four or five days. If everything goes right you get crystals. What we typically do it try three or four hundred sets of conditions and a few of them work. It's really a very empirical science at the moment. 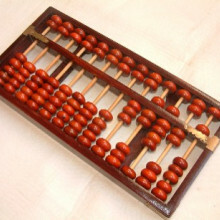 Chris - how much of these things can you make? Are we talking per gram quantities or are you making a reasonable amount that could hold reasonable amounts of molecules? Joe - In the laboratory we are designing these and scouting these for very specific purposes so we only need tens or hundreds of milligrams. BASF which is the world's largest chemical company has demonstrated that it's easy with the right materials to make kilogram quantities of these. In fact they've driven a demonstration vehicle across Europe where the fuel tanks are filled with methane. What stores the methane are these tiny cavities? Chris - Could you just explain to us how these tiny cavities are useful for storing methane? Why is it better to use a complex crystal like this than to just put a large cylinder of gas in the back of the car? Joe - Well, first of all I don't think you or I would want to drive a car that had a stainless steel cylinder in the back in case of a collision. The methane is much more safely stored if it's in a container that's not much bigger than the methane itself. It turns out that in order to stick to the material it has to be very close to it. In a stainless steel tank most of the molecules never touch the wall. It's better to have tiny channels and have the molecules adhere to them. Chris - can you tell us, because one of the things I mentioned, that you could scrub out gases from flues and exhaust pipes, for example. Could you make a molecule that has a cavity that's chemically-active enough to grab one species of chemical or waste gas you don't want going into the atmosphere and let less harmful things go past. A kind of molecule sieve, if you like. Joe - There's lots of interesting work on, for example, pulling carbon dioxide out of methane. One of the companies in the United States, Innovene Chemicals, spends a half billion dollars a year doing this with freezers. They condense carbon dioxide to a liquid to get it out of natural gas and the reason they spend half a billion dollars a year on this is because they can mark up the price of the gas by more than a half billion dollars a year. It's very energy intensive and they would much prefer to have a material that just grabbed all the carbon dioxide and left the natural gas, the methane behind. 23:05 - Does stronger sperm mean stronger people? Does stronger sperm mean stronger people? Chris - The sperm are a symptom of the quality of the genes that make them, so if you have good genes to make sperm, that gets your sperm there first, then if the rest of the genes don't make a healthy individual, then they won't have good sperm to make and they won't make much sperm, so I suppose you can't really have one without the other. Helen - We're joined by Professor Frank Jones from Sheffield University who's developing materials which are capable of self-sensing and self-healing. Hi Frank. Helen - First of all, what do we mean by self-sensing and self-healing materials? Frank - Self-sensing is largely to do with the detection of damage immediately from the structure. Healing is the situation just like in the skin where any defects or cracks can repair themselves instantaneously. This can be done in many ways. Several attempts to do this: one is to incorporate little capsules of liquid monomer that can diffuse to the crack tip, once a crack runs, just like blood. Other techniques like the one we're trying to develop utilises the fact that a polymer has lots of unoccupied volume and other molecules that you can encase in the structure can diffuse through them to heal a crack when it forms. This is the general idea about these materials. Helen - First off, what sort of damage can they actually sense? What sort of materials can we try and heal? Frank - We're mostly concerned with fibre-composite materials such as carbon fibre, reinforced resins and glass fibre reinforced resins. The nature of a composite failure is you get cracks in the matrix which are linked between the fibres. As long as the fibres are intact the structure's still quite healthy but the cracks could potentially be a weak link that could lead to total failure. What you need to do is to repair those few cracks that are in the resin and keep the structure intact over a long period of time. Helen - I take it that these are very tiny, initially, very tiny cracks? They're very small? Frank - Well it depends. They can spread across the whole material and just breach all the fibres and be effectively held together by the fibres that are present. If you walk along the road for example and look at the white lines by the side of the curb you'll find lots of multiple cracking in those white lines. Those white lines are cracked because of the various differences in the properties of the road surface, the tarmac and the white paint. You get the same phenomena in composites because you have the two stiffnesses between the two materials. Basically you've got a very similar analogous situation so you could realistically heal the white paint cracks as well. Helen - You started to mention already, two different ways that we might go about making these self-healing materials. Can we talk more about that? How are we going to create these materials that know they've been damaged and do something about it? Frank - In the case that I'm working on we have carbon fibres which are electrically conducting. 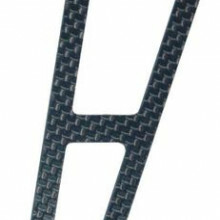 If you measure the resistance of carbon fibre you can have an easy method of detecting whether they're damaged or not. When fibre breaks the resistance will go up. We found that in an actual composite structure - if you've only got resin cracks there the resistance actually decreases. We can detect directly that there's a matrix around the fibres. Therefore we have the opportunity to utilise the resistance of the carbon fibres to provide a mechanism of healing. If you heat up the fibres using electrical resistance then you have a local heat where the energy needs to be created in order to heal the resin. Helen - That would melt something that would then stick the material together, would it? Frank - Yes you're right but it has to be a little bit more subtle than that. You don't want to lose the overall stiffness associated with the structure. Helen - Are these materials as robust and tough as they were when we didn't have these systems in place to have them self-healing? Frank - Fortunately composite materials can withstand a fair amount of damage before they actually fail. This is the reason why helicopter rotor blades are highly durable and last for millions of cycles in a fatigue experiment. Your other guest, Professor Phil Irving can tell you an awful lot about that since he's worked on fatigue in car springs. He was very much involved in the development of car springs for the automotive industry. They have a fatigue structure that will last the life of a motor vehicle. These materials are good but to ameliorate the damage it gives you an extra dimension to their life. Helen - Am I right that these types of self-healing materials might have a use all that way out in space and that it's something that might help us out there? Frank - I think that's a good idea. You could detect the damage remotely. You could send a signal to tell the material to heal itself so I'm sure there's a potential there. 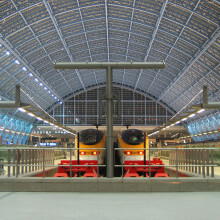 Meera - This week I'm at St Pancras International which reopened in November 2007 after an £800 million restoration. One of the more notable features of this restoration is the glass roof covering the famous Barlow train shed. It's the first thing that caught my attention as I walked in here. At over 110ft above street level it has an area of more than 10,000m square: using over 17,000 panels of glass. What's really interesting is that the roof isn't just made of ordinary glass. The panels have the ability to clean themselves thanks to reactions taking place on the glass at the nano scale. With me at St Pancras is Ivan Parkin, Professor of Materials Chemistry at University College, London to tell me how this self cleaning glass works. Ivan - The self cleaning glass works under two ways. One is to something called photo-catalysis which is the action of light onto the surface of the glass to basically chomp away or eat the dirt that's on the surface. The other one's due to a process known as hydrophilicity. That is that the glass loves water and any rain water impacting on the surface will form sheets and that will wash down any dirt in a uniform fashion. Meera - What's on the glass to cause this to happen? Ivan - There is a coating on the outside surface of the glass and it's a chemical called titanium dioxide. Titanium dioxide's an inorganic pigment which is widely used in a whole variety of products: everything from sunscreen where it reflects away some of the sun's UV rays through to toothpaste through to the whitener responsible for the white colour in white paint o r even in paper. Titanium dioxide's present as a very thin coating on the outside surface of the glass. It's got a thickness of about 25nm which, to put it into context, the thickness of the coating relative to the thickness of the glass is the same relative ratio as the thickness of the one pence piece compared to the height of Canary Wharf tower. Meera - How does this actually work to get rid of dirt coming onto the glass? Ivan - There's a twofold mechanism. 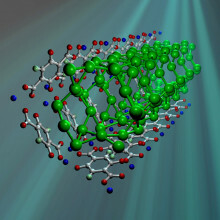 One: the action of sunlight on the titanium dioxide will generate a species known as electrons and holes. These electrons and holes with a specific property of titanium dioxide can migrate to the surface and they can [start] a process known as oxidation and reduction of any organic material which is present. Effectively what the titanium dioxide does - it absorbs the UV component of sunlight and this causes the degradation and break-down of any organic material, dust or debris which is on the surface of the glass. It converts it into carbon dioxide and water. One of the neat features of this is it works on the bottom of the dirt outwards and so it loosens the dirt on the materials coating by destroying the contact layer of the dirt and the glass. Meera - What kind of dirt can actually break down? Surely not everything? Ivan - That's right. It primarily works on organic dirt or debris. If you have inorganic material on the surface then that can be a problem. For example, if you had a self-cleaning glass which is on a seafront hotel and there was salt spray impacting on the window the self-cleaning glass would really struggle to remove the salt which would be deposited on the surface. Meera - What then happens to get rid of the dirt? Ivan - Any rain water impacting on the surface will form a very smooth sheet which will wash things down uniformly. The reason for that is that the action of sunlight on titanium also produces a surface which is very hydrophilic, very water-loving. Water loves wetting the surface and the action of sunlight generates effectively hydroxyl species on the surface, that it there's the ability of water to hydrogen bond the glass. That's why it wets it so effectively. Meera - If it then creates this sheet of water on the surface how does that sheet then go away? Ivan - It just runs down in a uniform fashion. Instead of getting dirt concentrated on the edges of the little rivulets or droplets and over time it builds up a higher and higher concentration so you kind of get a run-off pattern - the run-off pattern here is very uniform so you can't actually notice it. Everything is washed down at the same rate but it primarily works only on surfaces which have some form of slant. If you just had a perfectly horizontal surface then it would struggle because there's no gradient for the water to run off. It would then evaporate and you would still not clean very efficiently. 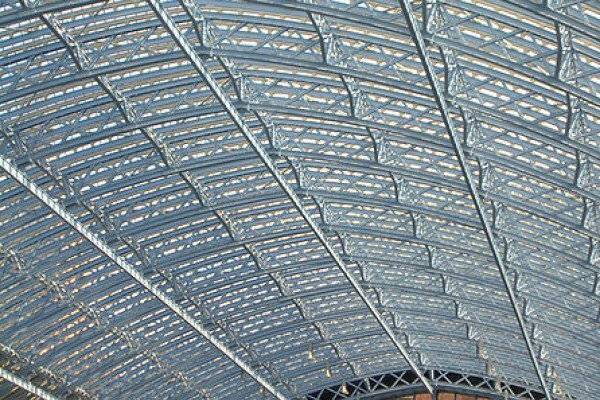 Meera - That makes a lot of sense because looking at the St Pancras roof, although it's arched over, every panel of glass has actually been set at an angle. Ivan - Yes, that's right. If you look at the panels they probably have at least a 30 degree angle on any one sheet you look at. They're not only angled in an arch fashion but they're also concertinaed together in a kind of corrugated fashion so there is a ridgeline which runs down the middle of each pair of panes of glass. Meera - Will it take a while once the glass has been fitted for the titanium dioxide to soak up enough energy and really kick in? Ivan - Yeah, typically it will take between 12 hours on a very sunny or wet day all the way through to 24-48 hours to work effectively. Meera - Can the properties of this coating be used for anything else as well as cleaning windows? Ivan - Yes, that's something we're doing some research into at University College London. That is looking at the antimicrobial properties of these coatings. They actually show some very spectacular properties for destroying bacteria and viruses in the environment. For example, we've shown through some work that these coatings can destroy MRSA, E.coli and Chlostridium difficile, for example. Any of those bugs on those surfaces, under the action even sometimes of ring lighting, can be destroyed on these coated surfaces. It's a way actually, potentially of trying to help alleviate hospital acquired infections which are a massive source of death and also costs for all developed countries. Chris - Professor Philip Irving joins us now. He's from Cranfield University. His colleagues have established the Centre for Integrated Vehicle Health Management, IVHM, and they're hoping to pull all these complex thread together. Hello, Phil. Chris - Welcome to the Naked Scientists. Tell us a bit about the problems you're helping to solve. What's the big nut you're trying to crack here? Phil - Well, the first thing that we should say is that all machinery and all structures gradually degrade when it's put into service. It develops cracks, it wears out, starts to corrode and the way things are at the moment all these things have to be guarded against by having manual inspection. It'd be really very nice if we could get away from all this manual inspection and have something that, as you say, can look after itself, it detected when it was damaged and it heals itself. That would be really very nice. Chris - It sounds like from what Frank was saying that we can do that. Phil - We can but that's not the end of the story by any means. 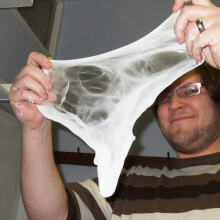 We're starting to develop these self-healing ideas for composites. We've still got to worry about traditional materials like concretes, metal, aluminium, titanium and all of these things start to develop racks eventually in service. So far, the only way in which we can cope with this is by predicting at what point the structure will decay. Preferably well before there's any danger of something catastrophic happening. Chris - That's why Frank was saying about you and helicopter blades. If one of those goes wrong you get potentially the wind turbine effect we saw in this country that everyone blamed on aliens. It could have been structural fatigue. Phil - That's right, yes. Helicopters in fact are one of the few examples of machinery around which has got its own damage monitoring system. It's not really a smart material because it's based on the vibrations which occur in the helicopter gear boxes. If you subject, record these vibrations and you subject them to fairly sophisticated computer analysis you can work out if there are any changes in this, whether or not damage is starting to occur and then work out what you're going to do about it. That's really the tricky thing. As well as any sort of prediction about how long it's going to be before anything catastrophic happens. That's the really tricky bit. Chris - I want to know who it was who flew around in the helicopter long enough to find out that those are the danger signals. Phil - Well seriously that has been a long hard road and there have been a number of very nasty helicopter accidents in which it was previously noted that the gears were making peculiar noises just before something catastrophic happened. Chris - I guess the key is being able to anticipate what the danger signs are before they get bad enough to compromise the integrity of the material. Phil. Yes. It would be really nice if we had a map of the whole structure in the Star Trek control cabin and there was a red light flashing on the outer wing and it as saying there was damage starting to develop there but there was still several hundred flight hours before there was a anything likely to happen that was dangerous. That's the position we really want to be in. Chris - I did see there was quite an interesting study being done on suspension bridges that use wires that are wound into almost plaits and by putting the equivalent of a stethoscope on the wire you can hear these pinging noises which are individual strands of the wire going. This means that rather than having to open up the cable and having a look at the physical wire condition you can use sounds to work out when you're going to have to replace those cables. I guess this idea of monitoring is coming in, isn't it? Phil - The technique you describe is called acoustic emission and is one of the very great hopes for future damage protection in structures and machinery. It's very widely researched at the moment but the difficulty is what we're alluding to a little while ago. How do you go from that initial detection of damage that's saying yes, that's going on but the bridge is ok at the moment, at what point do you need to start to contemplate putting in some sort of maintenance action. It's all to do with when and how you can actually increase your life, you can eventually increase your ability in your structure without having any sort of risk of anything catastrophic happening. That's a tricky thing. Chris - What, at the IVHM, are you trying to do to make that easier? Phil - We're trying to set up a centre which brings together all the various disciplines which are needed in this together. One of the most difficult areas is the fact that the vast majority of engineering structures and machinery like a helicopter or aircraft is a very complex system. I'm sure you will appreciate that diagnosing a human body, translating a symptom into information about damage and what the prognosis is, is a very difficult thing to do. It's pretty much as difficult as these complex pieces of machinery like aircraft. This is in the centre of what we're trying to do. We're trying to bring together all these different parts together to try and create effective systems which are going to detect damage in this way. Chris - I suppose that way people find out how to anticipate the problem rather than find out the hard way. Phil - Yes, that's absolutely right. 43:55 - How many objects can you instinctively count? How many objects can you instinctively count? He's talking about subitising and subitising is our apparent ability to instantly apprehend the quantity of a small group of objects without needing to consciously count each one individually. Unfortunately this is a research topic which has quite a heated debate about it. A lot of people argue that subitising as such doesn't exist at all and that really is some form of fast counting which is conscious. It's very difficult to research into subitising simply because you have to eliminate conscious counting. The only way to do that is to present stimuli very quickly, very short periods of time. Something like 50ms and then ask people to give their impression of the quantity of objects that they actually see. This particular person's question is quite difficult to answer because as long as the objects are present for a long length of time there's always the possibility that they might also be counting as well as subitising. The answer to the question is probably 3 or 4 in the true sense of subitising. We probably do this by some form of pattern recognition. There's some correlation between quantity and particular shape. For example, a triangle - three objects is always a triangle or almost invariably a triangle; two objects always form the ends of a straight line.